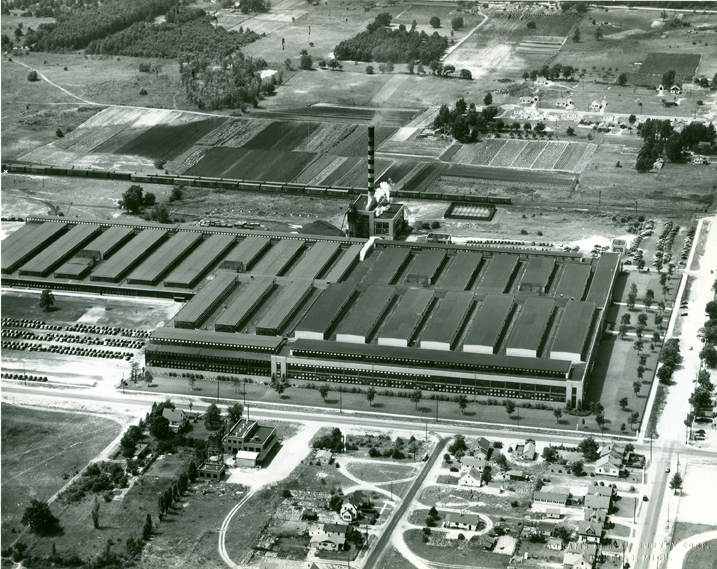 An aerial view shows the General Motors Metal Stamping Plant. The tall, striped smokestack in the center stood as a symbol of the plant for many years. In the foreground a residential area can be seen while the area behind the plant is still occupied by farm land. Title by cataloger. The Metal Stamping Plant, built in 1936, was located at 36th St. and Buchanan in Wyoming Township. It closed in 2009.